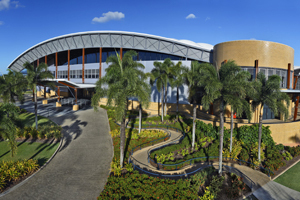 The Cairns Convention Centre and all Cairns business events infrastructure are fully operational following Cyclone Yasi, which struck northeastern Australia in early February. Ross Steele, general manager at Cairns Convention Centre said: "While our hearts go out to communities south of Cairns, our staff, their homes and the Cairns Convention Centre have been unaffected and it is business as usual." Dozens of cities and towns in the Great Barrier Reef region were battered by heavy rain and numerous properties sustained damage. Last month, the Brisbane Marketing Convention Bureau reported business as usual for Brisbane's corporate events, despite heavy flooding that hit the area in January.